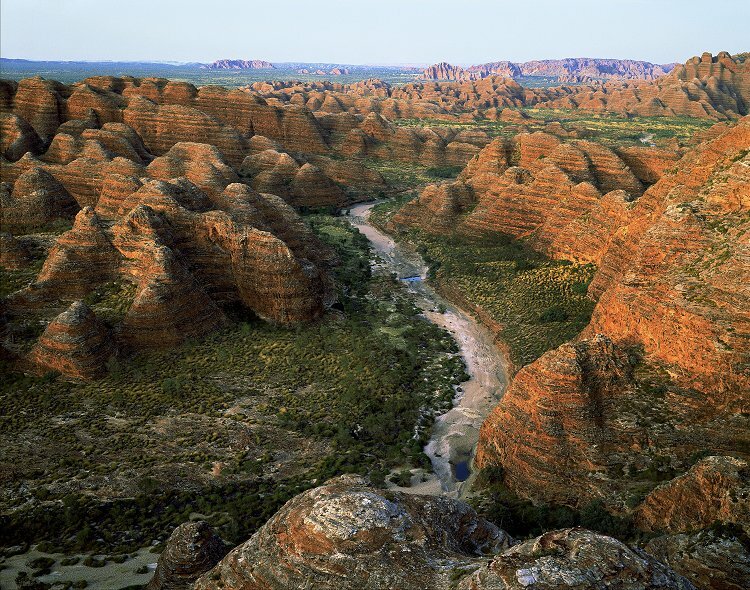 The sandy creek bed of Piccaninny Gorge winds its way through spinifex and the jumbled domes of the Bungle Bungle Range. Small pools of water remain from the previous wet season and supply fresh cool water after a hot three hour walk from the car park. Camera - Horseman FA 4"x5"